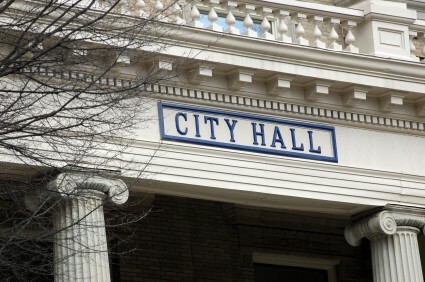 Government facilities, fleets, and operations offer unique opportunities for federal, state, and local governments to lead by example, incorporating energy efficiency measures into their facilities and achieving significant energy cost savings. Governments have often become leaders in energy efficiency by taking action through legislation or executive order to improve efficiency in their own buildings and vehicles. These policies help improve the environmental and economic performance of states’ assets while promoting energy conservation to the broader public. The first major step governments can take to reduce energy use is to set energy savings targets for facilities and fleets. Many states have established energy saving targets for facilities, requiring a certain reduction in energy usage by a set date. Governments may establish a miles-per-gallon (MPG) requirement for vehicle fleets as well. Federal agencies, for example, were required to reduce petroleum consumption by at least 20 percent compared to 2005 levels beginning in 2015. Governments can also set energy efficiency requirements for new construction. For example, several states have requirements that newly constructed public buildings be more efficient than current code. Others require new construction to meet certain environmental or energy standards, such as LEED, or implement zero net energy building standards. These requirements can also extend to buildings with major retrofits, leased space, and publicly financed buildings. Another major step for governments is to use established methods to benchmark energy usage and collect energy usage data for facilities to properly target the most wasteful buildings. Once buildings are targeted, governments can enter into contracts with energy service companies (ESCO) known as energy performance savings contracts (ESPC), which allows the government to pay the ESCO with utility savings accrued after completion of the retrofit. Implementing energy-conservation technologies in the public sector saves money for taxpayers and promotes to decision makers and the public the vital message that efficiency works.